Amanda L. Butler is an associate in Hughes Hubbard’s Washington, D.C. office. She is a member of the Antitrust & Competition and Litigation practice groups. Amanda was previously an associate in the D.C. office of another global law firm where she worked in the Complex Commercial Litigation practice group, focusing on civil and criminal antitrust matters. Her experience in the latter includes representation of a multinational corporation under investigation by the U.S. government. 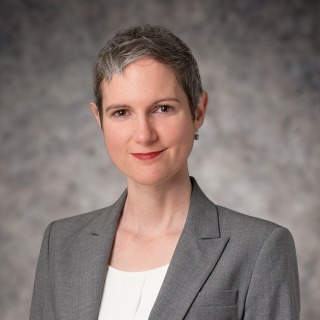 Prior to joining Hughes Hubbard, Amanda worked as an Attorney-Advisor at the U.S. Department of Labor, Office of the Solicitor, Employment and Training Legal Services, where her work focused on implementing regulatory structures related to introducing competitive procurement and performance metrics into the workforce development system. She also previously served as a fellow at International Justice Mission in India, working to develop a legal strategy successfully applying a 2013 amendment to the Indian Penal Code that criminalized human trafficking to cases involving labor trafficking. Successful representation of Unimin, a subsidiary of Belgium’s SCR-Sibelco NV, in its merger with fellow industrial minerals provider Fairmount Santrol Holdings Inc. The U.S. Department of Justice granted early termination of the waiting period in the antitrust clearance process. Currently represents a U.S. company in the Department of Justice’s criminal investigation of price fixing of generic drugs. Represented a major multinational corporation in a DOJ investigation into criminal price-fixing. Successfully defended ConsumerInfo.com at trial against claims of monopolization and attempted monopolization in the Central District of California. Corporate advice on antitrust risk and compliance. Ongoing pro bono representation of a minor from Central America seeking asylum in the United States.